Every AD Plant designer provides a unique plant process design, however, the flow chart below is common to most AD plant designs. Most designs include a Combined Heat & Power (CHP) element, and the most common use of that is in space heating for homes and factories. Get your Printer Friendly .pdf version of this flow chart here. I think this is a real great article. 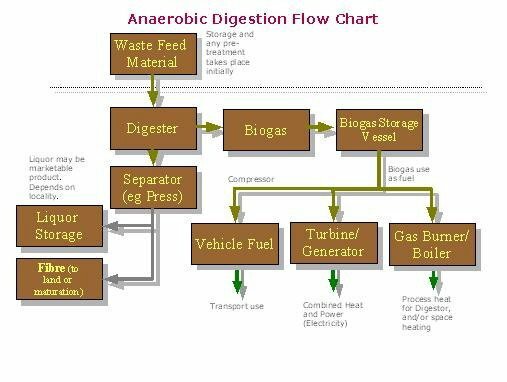 Now I am more convinced that anaerobic digestion will work. Want more info. Hello, I think your site could possibly be having internet browser cotiimpbilaty issues. When I look at your website in Safari, it looks fine however, if opening in I.E., it’s got some overlapping issues. I simply wanted to give you a quick heads up! Aside from that, fantastic blog! Does anyone know if the answer to this? Another way to look at these systems is to calculate how much removing the energy costs would reduce the price per litre of producing milk. Will it result in a bigger profit at the end of the year if the money were invested in more cows? Will it keep the business competitive with fluctuating milk prices?